An early morning knock on the door changed Robert Blagojevich’s life forever. Authorities presented him with a subpoena demanding campaign documents. What started as an investigation turned into an indictment. Among the many alleged charges was attempting to sell Barack Obama’s Senate seat after the 2008 presidential election. Suddenly, Robert was fighting for his freedom along with his brother former Illinois Governor Rod Blagojevich. In this episode of Lawyer 2 Lawyer, hosts J. Craig Williams and Bob Ambrogi interview Robert Blagojevich. Together they discuss they his experiences with the FBI and U.S. Attorneys Office as well as his new book “Fundraiser A: My Fight for Justice and Freedom”. Tune in to hear about his million dollar legal fight to save his name and stay out of prison. Robert Blagojevich is the brother of Rod Blagojevich, the former governor of Illinois. In June 2010, he went on trial along with his brother and was charged with several felonies. In August of the same year, the jury was unable to reach a decision and subsequently the government dropped its charges against him. Since then, he has resumed his life and speaks to groups about his experience. Advertiser: You know, I knew I couldn’t live with myself if I pledged guilty to something I didn’t do. Fifty days of being wired. The FBI and the US attorney knew what kind of person I was and how I conduct myself. How do you prepare yourself to be indicted? Trying to understand how you prepare yourself for something that can unalterably change your life. And the only thing I could think to do was face it head on. 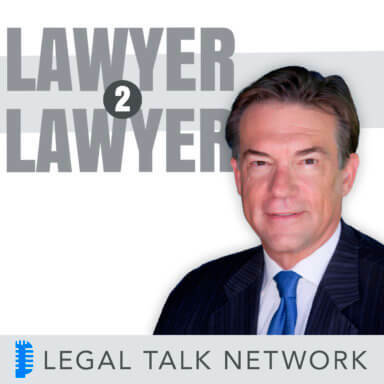 Bob Ambrogi: Hello and welcome to Lawyer 2 Lawyer, here on the Legal Talk Network. 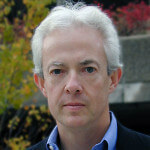 This is Bob Ambrogi coming to you from just outside of Boston, Massachusetts where I write a blog called Lawsites. Craig Williams: And this is Craig Williams coming to you from Southern California. I write a legal blog called May it Please the Court. Bob Ambrogi: Before we introduce today’s topic, let me take a moment to thank our sponsor, Clio. Clio is the online practice management platform for lawyers. You can find out more about Clio at www.GoClio.com. Craig Williams: Robert Blagojevich was a successful businessman with certainly, and virtually, no involvement in politics before his brother, Rod Blagojevich, the governor of Illinois, asked him to help out with his fundraising for his reelection campaign. The next thing he knew, Robert was facing a federal indictment and along many other charges attempting to sell Barack Obama’s senate seat after the 2008 presidential election. He fought the indictment and eventually won. Today, he’s detailed that fight in a new book, Fundraiser A: My Fight for Freedom and Justice. Bob Ambrogi: Joining us today to discuss that book, we welcome the author himself, Robert Blagojevich. Thank you for joining us today on Lawyer 2 Lawyer. Robert Blagojevich: And thank you both for having me on. Bob Ambrogi: Robert, I wonder if we could start at the beginning. You were a successful businessman in Nashville when you went to work for your brother’s reelection campaign. Tell us a little bit about how that came to be. Robert Blagojevich: My brother and I grew up very close in the northwest side of Chicago. And our parents always preached to us that when they were gone, we’d only have each other. And if one needed help, the other should be prepared to step in. So in the Summer of 2008, we were up visiting in Chicago with our son, Alex, who was working there at that time, and my brother called me on the fourth of July of that year, 2008, and asked me if I’d come talk to him at his home. And during that conversation, it was clear it was more of a business meeting, not a social meeting, and he asked me if I’d help him fundraise through the end of the year. The question was really, you’re the only person I could trust to do it right at this point, and would you consider doing that for four months through the end of the year. And after much discussion with my wife Julie, who reminded me that my parents had asked us to help each other, I said yes I’d help you out on two considerations. One that I would never play anyone for a contribution, and two, we had to get along. Rod and I had very different personalities, and if for some reason it ended up not being fun for me, he’d understood that I was just going to pack up and leave after I fulfilled my commitment. So he understood that and agreed and August 1st of that year, started working with him, making calls trying to fundraise. Craig Williams: And then describe for us, if you would, what happened after you agreed to do the fundraising. Your book details some pretty interesting propositions. Robert Blagojevich: It’s funny, and this came out of my testimony where I testified under cross examination that people were always nibbling around the fringes trying to get something in return for a campaign contribution in the form of some help from the state of Illinois. And I made it very clear from the beginning when I met with anyone that I was separate from the government and would only help them possibly meet people, but that was the extent of making introductions. I would not help them facilitate any agenda they had. And so very happily and properly conducted myself. An example of that is if this would be appropriate to tell you now – it is in the book – and this was typical of the kind of stuff that was proposed to me and the government knew these examples even before they indicted me. I got a call from a gentleman who was trying to get his PhD processed through Southern Illinois University. He became frustrated, somehow called our campaign office and asked me if I would help him get his PhD processed through the system. And I told him I couldn’t do that but I could forward his information to someone that I knew, the chief of staff at that time said he’d help me with requests like that. And he qualified by saying, “I would be happy to give you a substantial contribution if you help me with this.” I said, “That’s not necessary, I just want to help you if you needed help.” So he failed to send me the necessary information that would have helped him. In retrospect, I even wrote that I wondered whether this guy was representing some nefarious government interest trying to set me up because it was very suspicious in retrospect that he was willing to make a substantial contribution to get help from me which in the end we didn’t help him. Bob Ambrogi: You really had no involvement in campaign fundraising prior to going to work for your brother in 2008. Correct me if I’m wrong on that, but what kinds of parameters did you set for yourself going into this? What were your expectations? Robert Blagojevich: One of the most important conversations I had prior to actually starting to make calls was to meet with my brother’s legal counsel about the kind of do’s and don’ts and political fundraising. And one thing that was made very clear to me – which I already expected it to be – was no quid pro quos. In other words, never give someone a governmental action or benefit in an exchange for a campaign contribution. That’s pretty black and white to me and it was pretty simple to follow and that’s precisely what I did. Despite these people nibbling around me, I was able to manage through that. I kind of even humorously laughed some of the overtures off because a lot of the people were very, very clumsy. And the key to the whole situation that I was in, the center of it, were two people who came to me offering money to represent Jesse Jackson Jr., which you may want to get into later on. But that was the most egregious approach to me. It was a substantial money that ultimately got me indicted. Bob Ambrogi: Maybe we can fast forward slightly to December 9th, 2008, and we can talk more about Jesse Jackson later. But December 9th, 2008, you were in your condo in Chicago, 6:21AM, the doorbell rings. What happened? Robert Blagojevich: Yeah, didn’t expect anyone to be ringing the doorbell continuously non stop at 6:21 in the morning. I woke up, put some clothes on very quickly and went downstairs. And there you are, standing in front of me, the proverbial guys in trenchcoats flashing badges and presenting me with a subpoena requesting a number of documents and access to the Friends of Blagojevich campaign office. And I asked them directly, “What if I don’t help you out?” They said, “We’re going to break the door down and we’re going to get access to the campaign office.” So I told them that I would help them and went upstairs. It was cold, it was Winter time, and got dressed and led them down there. When I showed up, there were at least ten or fifteen other people waiting there at the campaign office for me to let them in. And so it was a very shocking, startling way to begin that day and really to begin the rest of my life, because it changed dramatically that morning, that day when they woke me up. Bob Ambrogi: Just to be clear, you were not in an arrest warrant that day, that was a search warrant. But that was your first step into this morass that you detailed in your book. Robert Blagojevich: That’s correct. My brother was arrested that morning but I was just subpoenaed. Craig Williams: As all of this began to sink in, I think the thing that surprised most about the way that you handled your defense was what you did early on with your wife and your family. Can you describe that for us? Robert Blagojevich: There are so many aspects to a federal indictment or a pending federal indictment that crossed my mind. One was what would happen to my family if the worst case happens and I’m convicted and I go to prison. So I sat down with my wife Julie and my son Alex and we had this conversation where I told them that I could not live with myself if I did something wrong and didn’t tell them. And so I told them directly that I did nothing wrong and that I was worried that if something didn’t work out for me in court, what would happen to them. And Alex very quickly said I’ll move in with mom in Nashville and we’ll live together and wait for you to come back. So that was one of the many little hurdles I had to go to because the impact on your psychology and the fact – at least for me – the feeling of total loss of control in a life that was fairly organized and very goal oriented was lost because of the uncertainty of this trial that was going to be out two years from the events that were occurring around me at the time, I had to organize around that. My son, Alex, sat down with me after we returned from Chicago the day that I was subpoenaed, and I asked him if he would help me organize a business plan. A very short, five point plan that we would have elements that I would follow every day to give me some structure in some measurable way for me every day. If I could psychologically think that, at least I could go run for three or five miles. I could do XYZ, I could eat a certain way, I could control my exposure to people who were positive in my life and avoid those negative influences that drained energy from me that I needed to focus on to prepare for court. And so he was very helpful. Julie was very helpful also during that time and we all, as a team, chipped in and helped each other. And others n my family and my close friends here in Nashville pitched in. You don’t get through something like this all by yourself. They were instrumental in doing what they do. Julie, in particular, when we got the discovery dump, transcribed hours and hours of FBI intercepts of my conversations with fundraising prospects, my brother, 284 conversations between Julie and me and my son Alex. All very personal conversations that when she first heard her voice with mine on the phone, she had a bit of an emotional reaction to it and I heard her screaming out while she was transcribing and it took her some time to adjust and adapt to having to just forge through and not let that get her down so that we could transcribe and help the legal team have this information and kind of mitigate some of the costs we were facing. Trial and the costs of having to simulate and figure out the discovery that we received. So we all pitched in, we all did what we could do. Bob Ambrogi: One of the things that really interested me about this book – as a lawyer, myself – was reading your perspective on the legal system as a non lawyer; and as somebody who, from what I could tell, didn’t have much by way of encounters with the legal system before all this came to be. And one of the things you described early on is your realization that you probably should have a lawyer and the way you went about finding a lawyer. You fairly quickly retained Mike Ettinger as a veteran trial lawyer outside of Chicago. What was that process like for you of trying to find a lawyer when you weren’t even quite sure yet what you were facing? Robert Blagojevich: That’s a great question and that was quite a learning experience for me. I was a corporate executive before I became a small business owner. And I dealt with some of the best law firms, the biggest law firms, national and regional law firms, but nothing to do with the criminal system; and I consider myself a fairly sophisticated guy. I didn’t know the difference between a civil and a criminal case until my eyes were open when I started interviewing lawyers that geez, I’m facing prison giving initially two felony charges against me that this is really serious stuff. And so I went through back on my experience in the corporate world and in the army, military, and just went through a methodical process of asking questions, trying to get an understanding of the system as I ask those questions and try in whatever way I could get a measure of each of the attorneys that I interviewed. Obviously I chose Michael Ettinger who was quite an interesting guy. Again, I was used to buttons up lawyers who never – at least initially – use profanity and were very corporate in their approach to dealing with me and the issues that I had to deal with in my job. Mike, on the other hand, met me at a restaurant in Skokie, Illinois. One night on his way home from work, he told me his wife Maurine wasn’t going to be cooking dinner and he was going to have his dinner there at the restaurant and do I want to eat anything. I was not hungry and only had coffee, but he ordered scrambled eggs – I’ll never forget this – hash browns and bacon. During the conversation where he started schooling me on what I’m up against, telling me that the government was my enemy, that I would please the 5th and that I would not proffer and speak to the government was shocking and eye opening to me. And while he’s telling me this with the intensity that I’ve never really seen in any of the lawyers I’ve worked with before, had a little piece of scrambled egg hanging on his lower lip that I will never forget. And I tell the story to anyone who will listen to me because in the intensity of what I was going through, that was just one of those moments that I’ll never forget and now I can laugh about it and make fun of at his expense, and he knows it. But it was a contrast to what I was accustomed to. In the end, I may have just stumbled into picking the right guy, but I sure did pick the right attorney after I went through three or four or five different options that I considered. There’s no question, the most crucial decision I made, he was the right pick. Bob Ambrogi: You even described him as Columbo at some point in your book and I think Craig and I could both share stories of walking into law offices and seeing lawyers with the files piled up all over the place and that sort of thing like you’ve described there. But clearly, he knew what he was doing when it came to your defense. And there were two other lawyers on your team as well, Cheryl Schroeder and Robyn Molaro as well. So the indictment did eventually come, you were at this point still not indicted as I understand at the point that you retained a lawyer. And how did you react when that came to be, when you found out that you were going to be charged? Robert Blagojevich: That’s a great question, and again, one of those moments you never forget. The day before the indictments came down, my business associate, Kevin Stinson drove to my home because he was alarmed that he had been called, subpoenaed by the IRS for all my tax records that he had in my business back six or seven years and wanted to tell me that verbally. So I immediately called Mike and told him that this request has happened. And Mike all along didn’t think I was going to be indicted, but this was a clear indicator that that was going to happen. And that was April 1st, April Fool’s Day of 2009. The next day, Mike calls me and says, “Prepare yourself. We’re about to hear what indictments are coming down.” And as it turned out, I’m thinking to myself how do you prepare yourself to be indicted? And I did write about this in the book, trying to understand how you prepare yourself for something that could unalterably change your life. And the only thing I could think to do was to face it head on. So when he called me, he said you’ve been indicted on two counts. He explained them to me, they meant nothing to me, because he mentioned on the services why you’re fraud. And I asked him what did I do wrong, and he said “Well, I can’t tell you right now, I need to read the indictment, it’s too early, but I wanted you to know.” So that really was another milestone in my legal education because I learned very quickly that at least the laws that I was charged under were so very vague and authorized the prosecutor a great attitude in charging me, in particular, and I’m sure scores of other people around the country over the years that it was baffling to me, that there was no precision to the system or the process. There was so much latitude for prosecutors to pursue whatever agendas they may have come up with, a series of indictments that they came up with that it really gave them an unfair advantage. So that was a consistent theme, all throughout, even up until the end where they were – in one way or another – playing with my life. Of the many emotions I had to control, one of course was to try to keep control in my own life after having been indicted. But the other one was to control my anger, because I was so angry at what they were doing to me and could get away with it without the consequence or accountability. Where in my life, if I did something improper in business or in the army or whatever my life circumstances were, there typically was accountability, and there was none. There was none in this process. So I had to learn to control my anger as well. Craig Williams: Well Robert, we need to take a quick break. Before we move on to our next segment, we’re going to hear a short message from our sponsor. We’ll be right back. Bob Ambrogi: And welcome back to Lawyer 2 Lawyer. This is Bob Ambrogi with my co host, J. Craig Williams, and we’re talking today with Robert Blagojevich. We’re talking about his recently released book, Fundraiser A: My Fight for Freedom and Justice, detailing his involvement in the federal prosecution of his brother, Rod, former governor of Illinois. You were just alluding to this, but the whole book really kind of paints you as a pawn, effectively, being used by the US attorney then, in Chicago, Patrick Fitzgerald, basically to get at your brother. Is that a fair statement? Is that how you saw your involvement in this case? Robert Blagojevich: Yes, and I can illustrate that numerous times. But the one that started it all was shortly after my first arraignment in Chicago. I was back home in Nashville and Mike Ettinger called me to say, “Hey, I just spoke to the lead prosecutor, Reid Schar, and he is offering a global solution for you and your brother.” He said that Schar told him that we’ve got the governor but your guy can win, meaning that I could win as a defendant. And I asked Mike, “Why did they indict me if I could win?” He said, “That’s not the point at this stage, but they want you to talk to your brother and come up with a global solution between the two of you to see if we could work something out and possibly avoid going to trial.” And at that point, the beginning of many other data points through the process that it was clear to me that I was just in this to be used against my brother. And subsequently I learned – and I’m sure a lot of your audience knows this – that one of the first techniques that prosecutors use is to cut plea deals so that the defendants can avoid the uncertainty of a trial, have a guaranteed potential resolution if the judge agrees to it, and I know I went through this myself through the process. You do have cost-benefits analysis. Well this is costing me x number of dollars an hour, days and months, weeks and months, and not only is it that, it’s just draining me emotionally and physically. That’s a cost, versus going to this unknown future trial with prosecutors doing everything they can to discredit you because you know you did nothing wrong. And so you have to assess oftentimes the selection of two bad choices in a system that to me I thought was much more linear and clearer and logical to follow. We said no to his offer of global solution. I never spoke to my brother about that conversation that Mike and I had regarding the prosecutor’s overture to us and I never asked my brother if he would plead for me to give me some shorter – or not just a shorter – but less of your punishment. We just went on to trial. But that was the first point where they were clearly saying we want a global solution, have the brothers talk. Craig Williams: You mentioned the statistic in your book that even I was unfamiliar with that only 4% of the defendants that were charged federally ever get dismissed. You kind of alluded to that when you were talking about the plea bargain issue because a significant number of people go and take plea bargains. Why did you continue to fight this and not go for a plea bargain? What was it that got you dismissed. Robert Blagojevich: I knew I couldn’t live with myself if I pledged guilty to something I didn’t do, and I was willing to face the consequences if the system and the process prevented me from really proving my innocence. And so it was driven by the anger and outrage I felt for having been indicted knowing with fifty days of being wire tapped, the FBI, the US attorney knew what kind of person I was and how I conducted myself. Plus, when we read all the 302’s, it was clear from their investigation and looking into me that I was an ethical, honorable man, responsibly fundraising. So I knew all of that and I wasn’t going to cower to these people who were trying to ruin my life, even though they had the unchecked power to do that. I just wasn’t going to surrender and so organized my life around. Once I accepted the fact that I get up in the morning now, it’s to win in court. I organized my life around that. And that gave me the power and the strength, the focus, and ultimately in a convoluted way, really prevailed at trial. I was not acquitted. The jury came back hung, nine to three in favor of acquittal. I testified in my defense and I’m told by all sources, the media in particular, that I was a very effective witness for myself and my brother, and had the money to pay for a lawyer so at least that one would go around, and I was innocent. Even with those three factors, it was hung, and I am fortunate to be here, one of the four percent of people to have – despite those odds – survived it because of the shenanigans the government tried to pull on us after the hung jury and getting ready to set at a hearing the next second trial. They played games with my life there as well. Bob Ambrogi: What was the final cost to you in legal fees? Robert Blagojevich: Just under a million dollars, all in. Legal fees and having to live up in Chicago, just under a million dollars. Craig Williams: And how much did you make as a fundraiser or at being paid? Robert Blagojevich: I was paid less than $50,000 for the time that i was there. And we knew that that was going to come up as an issue during the trial. We knew it was going to come up and we were prepared for that, because it wasn’t for me about the money, it was just about the cost of having to live up there and doing what I needed to do for Rod. The government subpoenaed us, even while we were on trial. My CPA called me in the middle of the trial and said, “Rod, the IRS has requested your tax return for the last five or six years, I just wanted you to know.” And so we provided them that, and what was very evident to them when they were looking through there to see if they can discredit me in some way, that the tax equivalent yield of all the money that I made with my brother I had given away to non profits here in Nashville, the university that I went to in Tampa. So it was clear I wasn’t’ there to try to make money. And so it was miniscule compared to what I had to pay in legal fees. Bob Ambrogi: Robert, I’m a former newspaper guy. Before I was a lawyer and even after I was a lawyer for many years, I was an editor for various newspapers. Yoru descriptions of your dealings with the news media were really interesting to me and of your lawyers’ dealings with the media. You kind of portray this scenario in which they’re both kind of using each other. I think at some point, you say that the press wants to talk to the lawyers to try to get the inside story and get the scoop, and meanwhile, the lawyers want to talk to the press to find out what they’re hearing and what’s going on that they’re picking up. What did you learn about the role of the media in playing out a public trial like this? Robert Blagojevich: The day of my first arraignment, I was walking through this gauntlet of press questions, reports and cameras, and I reflected that now I know how celebrities feel when paparazzis surround them; except that I wasn’t a celebrity and I didn’t want them there. That was so illustrative of what my approach was. I didn’t want to talk to them and Mike forced me – throughout the process, without ever telling me what to say which I think was proper on his part. But who knows, if he had a client who couldn’t say the right thing how you could mess up. But fortunately I was able to say whatever was needed. But I saw through that process how he managed, symbiotically, his relationship with the press and the press’s desire to get access to him to know about me because nobody knew me in Chicago. I grew up there, went away to college, never really lived there again. But I went back for that month to help my brother out. So I was a mystery to a lot of people and he had a lot of insight that he could share with them, whatever strategies he thought he could dribble to them that he thought they might comment on. But he also knew they had a backend of prosecutors, because what I learned was the US attorney’s offices manipulate the potential jury pool shamelessly through the media. Through leaks, through press conferences, and in Patrick Fitzgerald’s case, the day my brother was arrested, he proclaimed to the world that Lincoln would roll over in his grave if he knew that Barack Obama’s senate seat was being sold to the highest bidder by my brother, that he was conspiring to sell it. Which was to me the most outrageous claim that should have nulled any prosecution against us, at least in that jurisdiction. So I saw firsthand how the prosecutors manipulate the press. And we got our little responses for that through Mike. But they’re a big leak, and they have all the resources. The press is going to want to talk to the US attorney’s office, sooner and faster than they want to talk to some little criminal defense attorney representing a defendant. So all through the process, I felt very outmatched and overwhelmed by the resources and the reach of the US attorney in many ways, in particular to the media. Craig Williams: lt looks like we’ve just about reached the end of the program, so we’d like to invite our guest, Robert Blagojevich, to share his final thoughts and contact information should our listeners like to reach out and talk to you. But Robert, before we do that I’d like to also get you to include as part of your wrap up what your thoughts were as you read your brother’s indictment and all the references to Fundraiser A which is how you get the title to your book. Robert Blagojevich: The indictment in reference to me in particular, were not anywhere near the reality that I experienced. And sadly, it’s made me a very cynical American, very concerned about how our civil liberties, somehow, are slowly being chipped away and we just stand by and let it go. So one of the reasons for writing the book eventually was to have a platform, which I’m very grateful that you all have provided me to talk about. Not so much my story, it’s the backdrop, it’s the overreach and abuse. For sure by federal prosecutors, in particular, Patrick Fitzgerald, who had an agenda to get to my brother and would use anyone that he could to win. To me, if there’s an importance in my book, it’s to tell a story first person what it’s like to be indicted, survive it, and be the few four percent to beat Goliath. This is for sure a David and Goliath battle. But if your listeners want to get ahold of me, I have a website set up, it’s RobertBlagojevich.com. There’s a lot of information there, contact information to reach me there. But I’ll do this as well because I welcome any feedback or outreach to me. Here’ s my phone number: If anybody wants to call me, please feel free to call me at (615) 417-2605. I have felt a necessity to make as much outreach as I could to anyone who would want to talk to me about my situation or if I could help them with potential situations themselves. So I’ll be happy to talk to anyone. I probably won’t answer the first time you call if I don’t recognize your number, but after that, I will if you leave a good message and I’ll remind you of this: That number was wire tapped for fifty days, and I had intentionally not changed that number and proudly now tell people on no uncertain terms that someone may be listening if we’re talking to each other. Bob Ambrogi: Well we hope somebody’s listening right now because that’s the whole point. Thank you. The book is Fundraise A: My Fight for Freedom and Justice, and Robert Blagojevich, we really appreciate you being with us. And I assume they could find the book in all the usual places. Robert Blagojevich: Amazon is probably the most seamless, easiest way to get it. Bob Ambrogi: Well thank you very much, it was really interesting talking to you today. Robert Blagojevich: And thank you very much and I think your listeners for giving me the courtesy of listening. Craig Williams: That brings us to the end of our show, this is Craig Williams with Bob Ambrogi, thank you for listening. Join us next time with another interesting topic. When you want legal, think Lawyer 2 Lawyer.